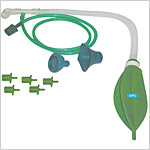 Our Anaesthesia Products are appreciated in hospitals, nursing homes and other healthcare facilities. Our Bain Circuits, Jackson Rees Paediatric Circuits, Anaesthesia & Ventilator Circuits are known for their smooth functioning and high performance. 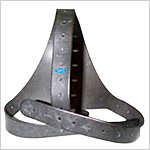 Internationally quality standards are followed in their production. The Bains Circuits, as designed by us, offer a better inspection of the inner walls and attachments. 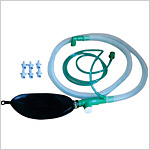 They are compatible with different anaesthesia machines. They are produced in adult and child sizes. 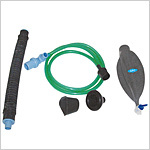 Send Your Buy Requirement For "Breathing Circuits & Accessories" AND Get Quote Quickly.